After so many years living in Kuala Lumpur, one must admit that it is hard to find decent Filipino restaurants around here. 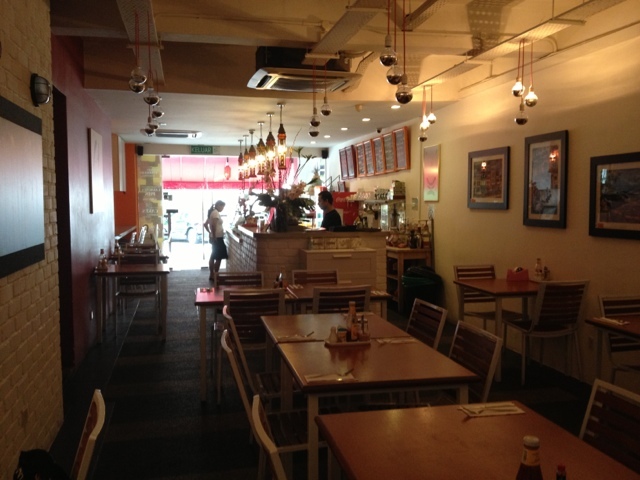 I heard about the one in Centrepoint which closed down, and the review given by Malaysians is that it is not good. Well, I guess that is why it closed down. I saw some other small Filipino restaurants near the St. John church in town, however it didn't look like a nice place so I never bothered to try it. 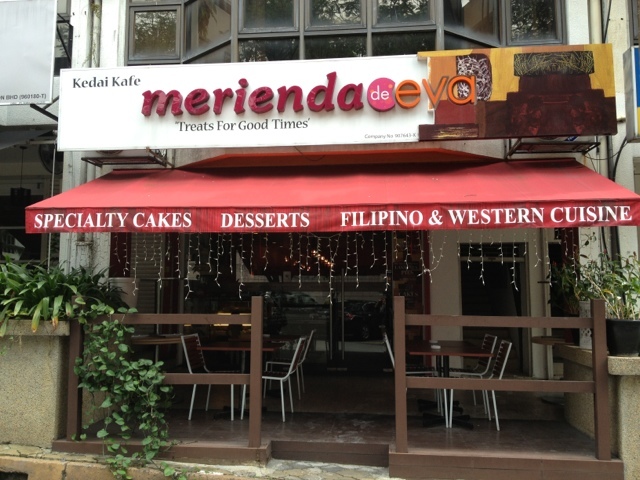 I was pleasantly surprised when I googled Filipino Restaurant KL, to find this place called Merienda De Eva. I didn't know the place existed. 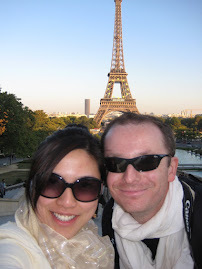 So naturally, on a Saturday lunch, I told hubby let's go on a adventure and try it out. It was easy to find thanks to the WAZE app we have on the iPhone. 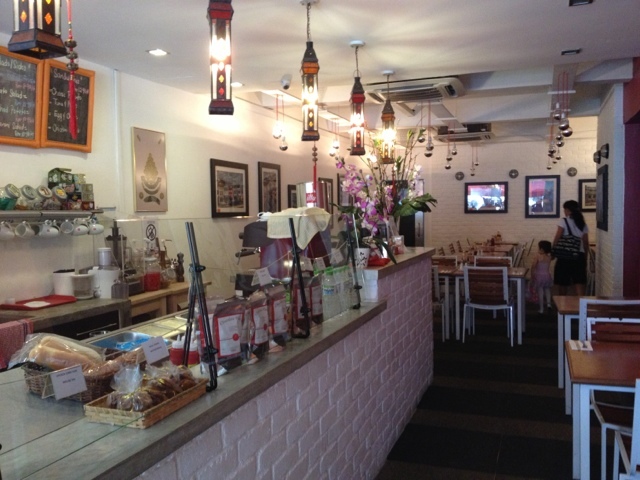 Else, we are not very familiar with the Damansara Heights shops. We rarely go there for meals. I was surprised to find there are tons of restaurants at that row. I guess it has its customer base, especially on weekdays when people are working nearby. Obviously, they have Filipino staff, and we were happy to chat with him in Filipino. He knew how to sell his stuff and he suggested some dishes. I warned him however we don't eat spicy food. It seems a number of dishes here are "Ilocano", which is a province in the Philippines that serves spicy food. Either that, or they have catered some of the dishes to the taste of Malaysians who are usually looking for some "spicy kick" in their dishes. 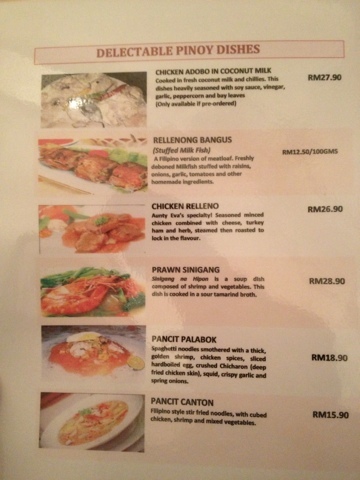 The dishes we ordered were mediocre and in my experience, I found it pricey! Especially when I saw the quantity and quality when it came out. 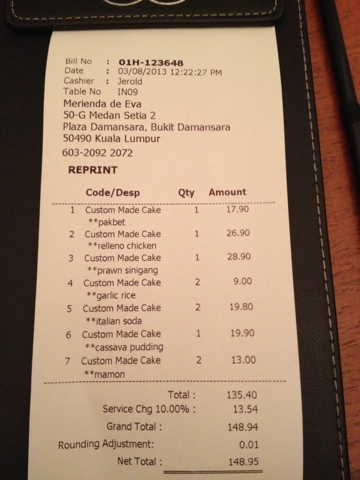 I remember thinking I would be more satisfied paying the same price at Rakuzen in Publika! It seemed comparable in terms of pricing... however the delivery (or perhaps I had high expectations) of the food was ... simply mediocre. 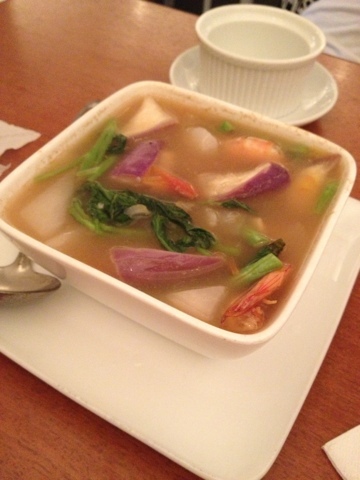 Prawn Sinigang - this is definitely a let-down and a warning. First I found it pricey for the small tiny quantity. 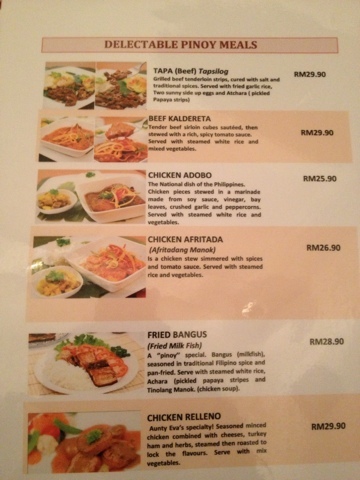 Second it was too sourish, despite we are used to the Filipino cuisine. Imagine, I was sick for 2 days with a headache, caused by this soup! We drank it as appetizer, and because we were so hungry, I think it affected my stomach and gastric... which caused a big 2-day headache. I discovered that my maid also had a headache due to that, which she told me on Sunday evening when she came back from her day-off. Yikes. Definitely will never order this again and I am warning everyone out there -- don't drink on an empty stomach! 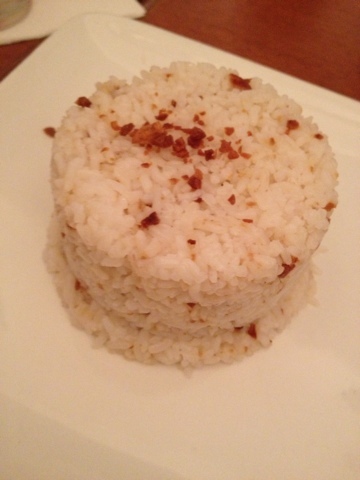 Garlic Rice - typical. Something we can easily do at home. Small portions. Casava Cake - this is also one of the better orders. Hubby liked it and it was his first time to taste such a thing. I am not a fan of casava cake. The maid also said it was good. Portion was bigger than what I expected and we had to take-away the rest. Mamon - the waiter said this is one of the must-try and better pastries they have. I wasn't impressed when I tried it a home. Unfortunately for them, just a week ago I attempted my own Mamon, made from the recipe I took online, and it tasted way better than theirs. So no, this is not something I would go back for at their place. Italian Soda - I feel the drinks were overpriced for what it is ... anyway I won't be back for those sparkling water mixed with syrup. Service - 8/10 the waiter was partially attentive, later on wandered off to chat with other staff outside the restaurant. I had to ask my maid to go and call him. Maybe bec we were the only customer on a Saturday lunch time? He was good at "selling" the points of their food... however I think he over-promised... He even forgot the warm water I requested... as well as the small take-away left over of the veggies which we didn't finish. Anyway... we won't be back too soon. Sigh... how I wish that it was better than expected, so that finally I have a go-to place for some close-to-home food. 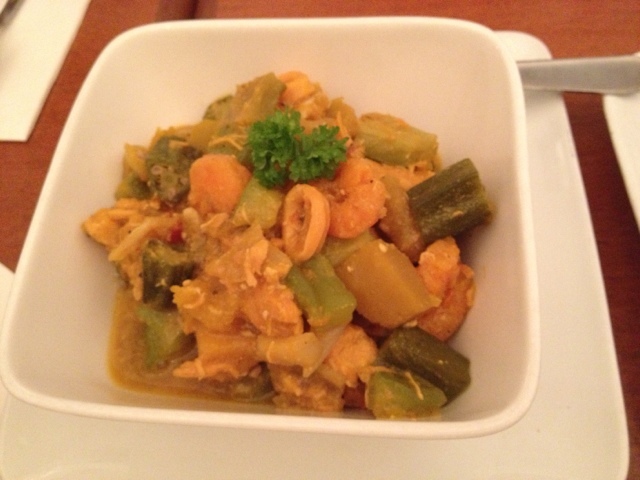 I am glad I have a Filipino maid who can help cook some of the dishes at home. That way I won't miss the food too much! 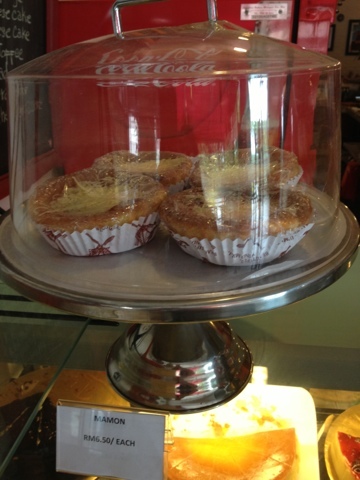 Mamon - a traditional Philippine sweet bread which is buttery and topped with cheese. Once again, the waiter mentioned that this is the best seller and must try. We ordered 2 pieces for take-away. My verdict after trying it: not as good as it should be. 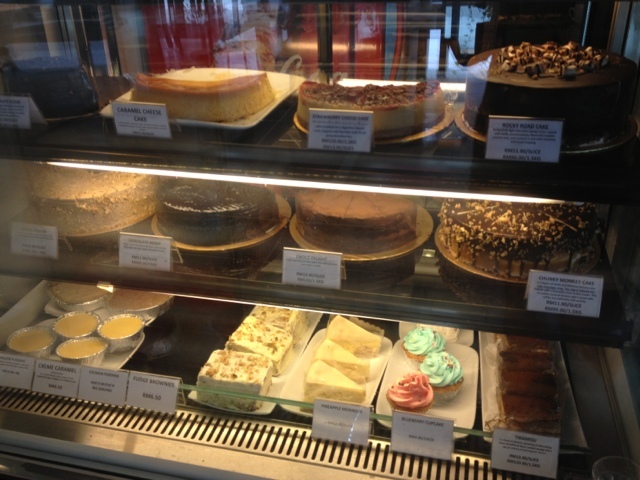 You will find many nice heavenly ones in Manila... and last week we attempted to make our own at home... and it turned out yummier than these. Won't be going back for these, as I first thought it would blow me away. 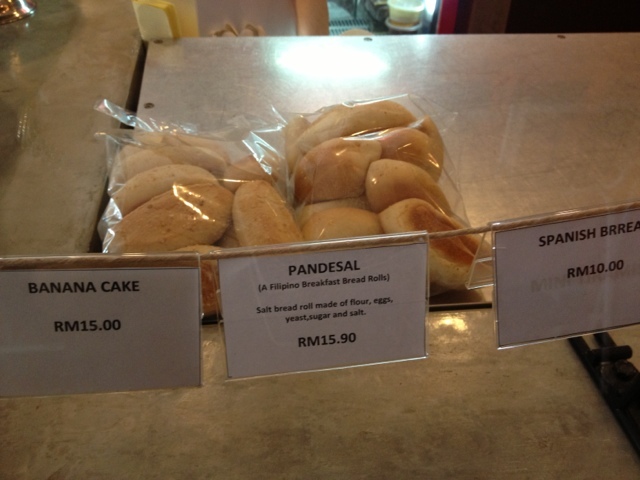 Some of their baked goods -- they have the traditional Pandesal bread. 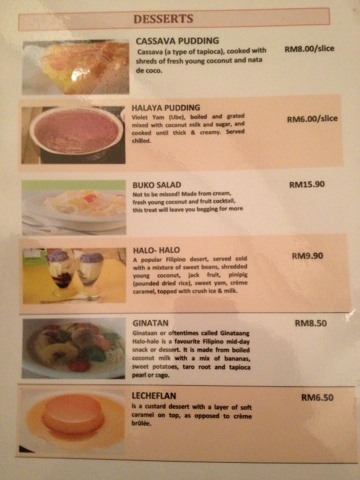 After living 6 years in KL, it is only now that I have found a place selling this. This is traditional bread which people would eat for breakfast together with coffee and some jam/butter inside. I didn't bother buying because we know how to make our own fluffy and yummy Pandesal (which is for sure yummier than commercial ones like these). Sinigang na Hipon - this is my biggest regret. The soup was ultra sourish, which I knew, however I think it was over sourish than usual... we did drink the soup and eat the veggies and shrimp. However, I must warn the weak-stomach people out there like me... I got sick for 2 days -- bad headache which is due to gastric, because we took this soup immediately while we were so hungry. The sourish soup can affect your digestion which can in the end lead to bad headache. 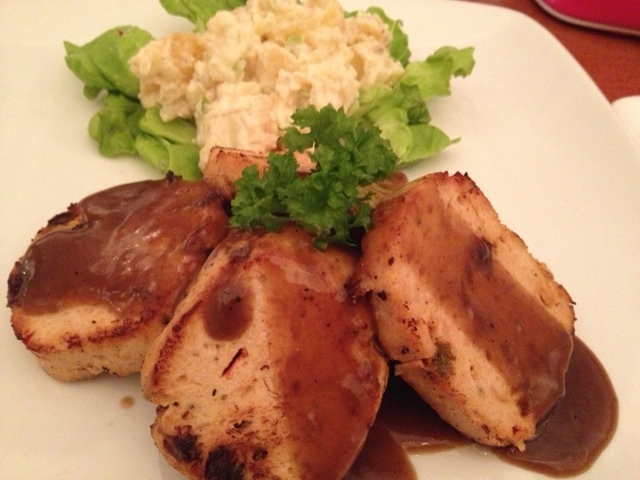 Me and my maid had 2-day headache after eating this -- and imagine, we are used to Filipino food. So beware! Garlic Rice - something very typical of Philippines... how we "recycle" rice when the freshly cooked rice are not finished, we keep in the fridge and we would "sangag" it -- meaning cook with oil and garlic until it is fragrant. 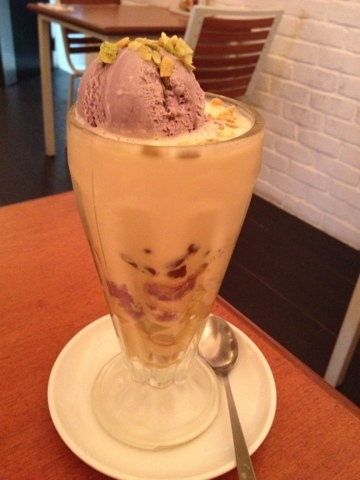 The only reason I would probably go back to this place is to get their decent Halo-Halo. 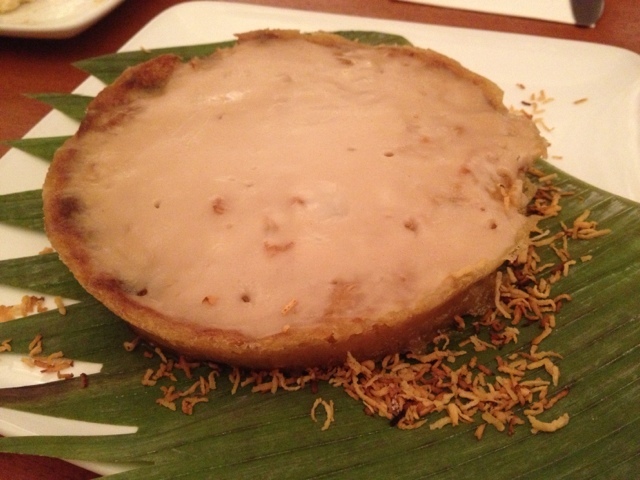 Casava Cake - this is something you can eat for dessert or snack with tea. This was one of the highlights of the visit. My husband and maid enjoyed it. It is in fact bigger than what it looks like on the picture. 2 people can share this. In Australia we call the cleaner :a housekeeper" not maid. It sounds nicer.